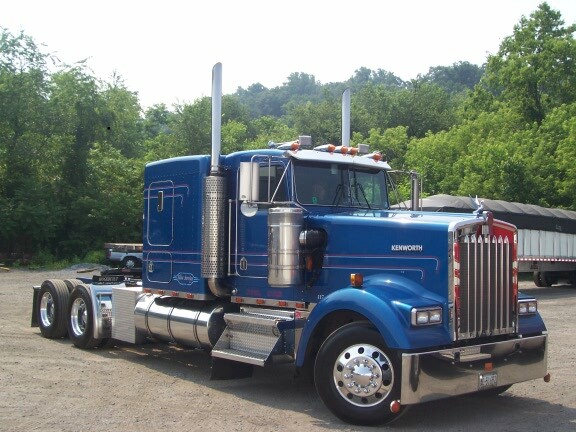 117 is a 1996 Kenworth. This picture shows the original striping. It has since been changed to match the striping of the rest of the fleet. This truck has a 475 Detroit engine and a 15 speed transmission.